Original Editors -Lori McGarrh from Bellarmine University's Pathophysiology of Complex Patient Problems project. Primary Tuberculosis (Dormant or Latent) – Although a person’s body can be infected with mycobacterium tuberculosis, they may not be showing clinical signs and symptoms. Most people have healthy immune systems that will never allow the TB to take over their bodies. Secondary Tuberculosis (Active) – This will develop after the immune system of a person is lowered. Reinfection will occur and the person will start to show clinical signs and symptoms. Before the 1940’s, tuberculosis was the leading cause of death in the United States. With the advancement of drug therapy, scientific and public knowledge, improvement in public health and general living standards, there was a large decline in the incidence of TB. However, immigrants started migrating from third world countries, the number of homeless people started to rise, people having prolonged lifespans, and the increase of the population with HIV resulted in an increase of TB in the mid 1980’s. Between 1985-1992, there was a 20% increase of new cases in the United States. The U.S. is just now beginning to see a decline in TB rates. There were 11,545 tuberculosis cases in the United States that were reported to the Center for Disease Control in 2009. This is estimated to be around 3.8 cases per 100,000 people. This has been the lowest rate reported since 1953, which is when national reporting began. In 2007, the United States reported 544 deaths from Tuberculosis. The TB rate in foreign-born persons in the United States (18.7 cases per 100,000 persons) was approximately 11 times greater than that of U.S.-born persons (1.7 cases per 100,000 persons) in 2009. In 2009, approximately 59% of all TB cases in the United States occurred in foreign-born persons, unchanged from 2008. Although the rates are declining in the United States, TB is still a worldwide epidemic. The highest rates of TB can be found in Southeast Asia, sub-Saharan Africa, and eastern Europe. There are about 200 to 400 cases per 100,000 each year. One third of the nation’s population is infected with TB. There are approximately 2 million worldwide deaths each year from TB. TB is the most prevalent killer of people who are infected with HIV. 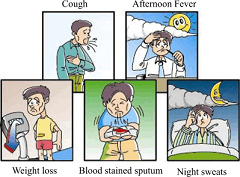 Once tuberculosis is diagnosed, all active cases are treated and many inactive cases are treated. 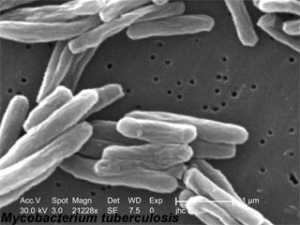 It is unclear if preventive treatment is helpful in people with latent TB. However, it is hoped that the disease will be less likely to become active later in life once the immune system is more likely to be compromised. The recommended time for taking the meds is 6-9 months. Blood work should be performed monthly to check on the liver and make sure it is handling the medicine okay. Unfortunately, many people are not compliant with taking their medicine daily for 9 months. Many people will begin to feel better, so they will decide to stop administering the medicine. Compliance is also a problem with homeless people, alcoholics, and drug users. If treatment is not completed, multidrug-resistant TB can form which means the person will now be resistant to the medication taken previously. Multi-drug resistant TB has an even more complicated treatment than before. Some people require a pneumonectomy or chemotherapy along with two or more drugs that are used at the same time. Directly Observed Therapy (DOT) should always be used when treating multi-drug resistant TB to ensure the subject is practicing proper compliance. Treatments are the same for pulmonary and extra-pulmonary TB. Two controlled trials that used the Tice vaccine demonstrated rates of protective efficacy ranging from zero to 75%. Case-control studies using different BCG strains indicated that vaccine efficacies ranged from zero to 80%. In young children, the estimated protective efficacy rates of the vaccine have ranged from 52% to 100% for prevention of tuberculous meningitis and miliary TB. The estimated protective efficacy rates of the vaccine range from 2% to 80% for prevention of pulmonary TB. The CDC and the American Academy of Paediatrics recommend that all children adopted from high risk countries who have received the BCG vaccine should act as if they have never received it. All children should be given a skin test and treated whether it is dormant or active. The Mantoux tuberculin skin test is performed by having 0.1ml of tuberculin purified protein derivative (PPD) injected into the inner layer of the forearm. This will determine if the body’s immune response has been activated by the presence of the bacillus. Upon injection, the skin will elevate around 6-10 mm in diameter. 48 to 72 hours later, the person should have their skin test reaction read. A positive test could reveal a palpable, swollen, hardened, or raised area that should be measure in millimetres. Redness is not measured. HIV infected persons Recent immigrants (< 5 years) from high-prevalence countries any person, including persons with no known risk factors for TB. However, targeted skin testing programs should only be conducted among high-risk groups. A positive reaction to the test is indicative of tuberculosis in the body. However, the test does not reveal if the TB if dormant or active. Other diagnostic tests (e.g. chest x-ray, sputum sample) should be used to identify active tuberculosis. Tuberculosis is spread by airborne particles known as droplet nuclei. Droplet nuclei are spread when infected people sneeze, laugh, speak, sing, or cough. In order to contract this disease, a person has to have prolonged exposure with an infected person in an enclosed space. It is suspected that there could be a genetic component to susceptibility and resistance, but that has yet to be proven. In other countries, it is common for bovine TB to be spread through unpasteurised milk and other dairy products due to cattle with tuberculosis. The reason the bacteria is able to be dormant in someone for years is it is capable of surviving for months in sputum that is not exposed to sunlight. It becomes trapped within the body (primary TB). Once the person’s resistance is lowered, the TB can become active (secondary TB). This could be due to advancing age, alcoholism, cancer, or immunosuppression. This occurs when TB spreads throughout the body. It is more common for this to present in adults over the age of 50 and children with weakened or unstable immune systems. Treatment does not differ for pulmonary and extra-pulmonary tuberculosis. The same medications are used in both cases (see medications). Sometimes decompressive surgery is needed if someone has Pott's Disease. All physical therapists should be aware of the proper personal protective equipment (PPE) that should be worn. There is a specialised mask that is worn that has been sized to specifically fit your face. People with pulmonary TB are typically not treated in physical therapy because medications are vital for curing TB. However, therapists are able to provide percussion and postural drainage to clear secretions out of the lung. Clients with extra-pulmonary TB are usually not seen in the physical therapy setting. However, patients may present in clinic with musculoskeletal problems with unknown causes or arthritic pain. PT's should be prepared to take a thorough history and a proper examination in order to better identify TB. A patient could also be seen in physical therapy if they have had surgery on their back, in which case the normal rehabilitation protocols would be followed. Jha A, Shojania K, Saint S. Forgotton but not gone. The New England Journal of Medicine. June 3, 2004; 350(23):2399 - 2405. Flynn, J. Immunology of tuberculosis and implications in vaccine development. Tuberculosis. 2004;84(1):93-101. Brudney K, Dobkin J. Resurgent tuberculosis in New York City. Human immunodeficiency virus, homelessness, and the decline of tuberculosis control programs. The American Review of Respiratory Disease. 1991;144(4):745-749. Global Trends and Interactions With the HIV Epidemic. Archives of Internal Medicine. 2003;163:1009-1021. Colditz, GA, Brewer, TF, Berkey, CS, Wilson, ME, Burdick, E, Fineberg, HV, Mosteller, F. Efficacy of BCG Vaccine in the Prevention of Tuberculosis. The Journal of the American Medical Association.1994;271(9):698-702. ↑ 1.00 1.01 1.02 1.03 1.04 1.05 1.06 1.07 1.08 1.09 1.10 1.11 1.12 Goodman C, Fuller K. Pathology: Implications for the Physical Therapist. 3rd edition. In: Ikeda, B, Goodman, C. The Respiratory System. St. Louis, MO: Saunders; 2009: 752-758. ↑ 2.0 2.1 2.2 2.3 2.4 Centers for Disease Control and Prevention. Trends in Tuberculosis, 2009. Atlanta, GA. [Web-Page]. 2010. http://www.cdc.gov/tb/publications/factsheets/statistics/TBTrends.htm. Accessed March 18, 2011. ↑ Centers for Disease Control and Prevention. Fact Sheet: A Global Perspective on Tuberculosis. Atlanta, GA. [Web-Page]. 2010. http://www.cdc.gov/tb/events/WorldTBDay/resources_global.htm. Accessed March 18, 2011. ↑ 4.00 4.01 4.02 4.03 4.04 4.05 4.06 4.07 4.08 4.09 4.10 Goodman C, Snyder T. Differential Diagnosis for Physical Therapists: Screening for Referral. 4th edition. In: Screening for Pulmonary Disease.. St. Louis, MO: Saunders; 2007: 344-345. ↑ 5.0 5.1 Centers for Disease Control and Prevention. Treatment of Latent Tuberculosis Infection. Atlanta, GA. [Web-Page]. 2010. http://www.cdc.gov/tb/publications/factsheets/treatment/treatmentLTBI.htm. Accessed on March 18, 2011. ↑ 6.0 6.1 6.2 CDC. Role of BCG Vaccine in the Prevention and Control of Tuberculosis in the United States A Joint Statement by the Advisory Council for the Elimination of Tuberculosis and the Advisory Committee on Immunization Practices. Atlanta Georgia. [Web-Page]. 1996. http://www.cdc.gov/mmwr/preview/mmwrhtml/00041047.htm. Accessed on April 19, 2011. ↑ 7.0 7.1 7.2 7.3 Centers for Disease Control and Prevention. Tuberculin Skin Testing. Atlanta, GA. [Web-Page]. 2010. http://www.cdc.gov/tb/publications/factsheets/testing/skintesting.htm. Accessed on March 18, 2011. ↑ Sao Paulo Medical Journal. Miliary tuberculosis with positive acid-fast bacilli in a pediatric patient. 2003;121(3). http://www.scielo.br/scielo.php?pid=S1516-31802003000300008&script=sci_arttext. Accessed on April 20, 2011. ↑ 10.0 10.1 10.2 10.3 Goodman C, Fuller K. Pathology: Implications for the Physical Therapist. 3rd edition. In: Infectious Diseases of the Musculoskeletal System. St. Louis, MO: Saunders; 2009: 1198-1199.